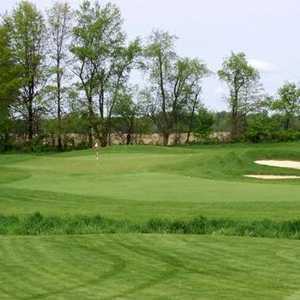 The 18-hole Clover Valley Golf Club in Johnstown, OH is a public golf course that opened in 2001. Clover Valley Golf Club measures 7149 yards from the longest tees and has a slope rating of 129 and a 74 USGA rating. The course features 4 sets of tees for different skill levels. The 9-hole Hillcrest Golf Course in Johnstown, OH is a public golf course that opened in 1952. Hillcrest Golf Course measures 2238 yards from the longest tees. The course features 2 sets of tees for different skill levels. The greens are bent grass and the fairways are bermuda grass. 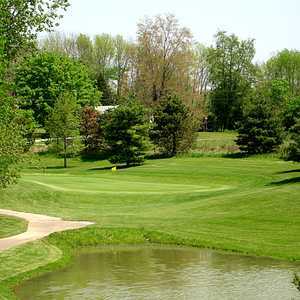 The 18-hole Kyber Run Golf Course in Johnstown, OH is a public golf course that opened in 1973. Designed by George Simon, Kyber Run Golf Course measures 6658 yards from the longest tees and has a slope rating of 131 and a 71. 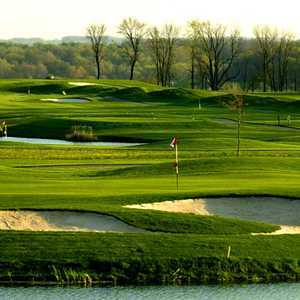 Located just north of Granville, the Links at Echo Springs tumbles across gently rolling hills covered with mature hardwood forests. The scenic stretch of land is the ideal setting for a round of golf. It's a course that is as scenic as it is challenging. The layout has both parkland holes as well as true links holes, offering a diverse round that will have you using all the clubs in your bag.